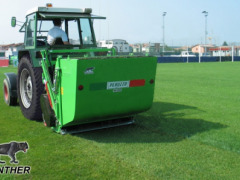 The PANTHER flail mower is used for perfect grass cutting and collection at the same time on grass fields. Engineered for grass, the verticut action and collection at the same time of all processed product for a perfect clean and verticut lawn. 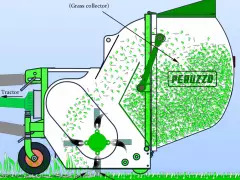 The grass catcher discharges the product directly on ground. 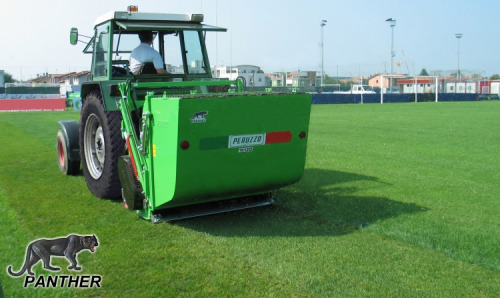 The Panther Flail Mower Series Provide An Excellent Flail Cut & Simultaneous Collection Of Grass Clippings - In One Pass! 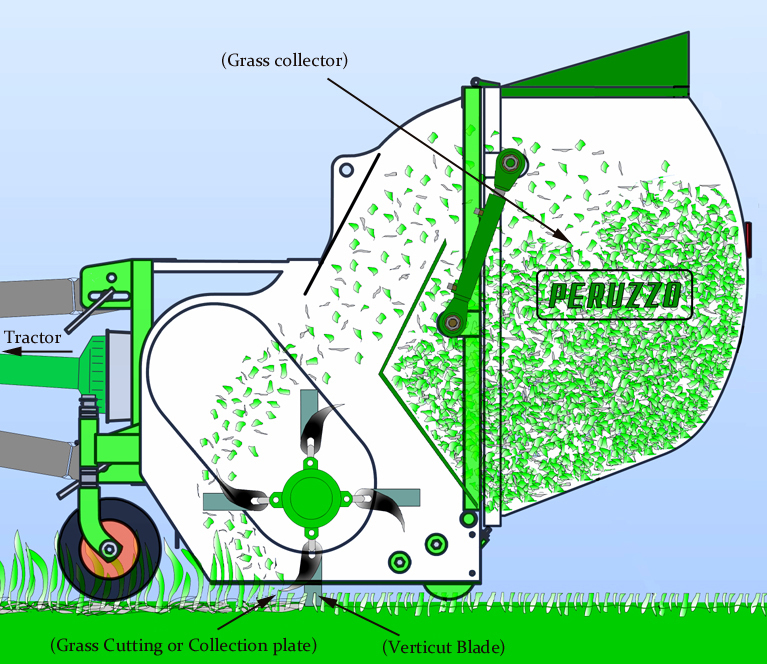 Use The Panther Collection Mower With The Verticut Dethatching Blades, And The Panther Will Dethatch While Mowing & Collect The Dethatching Spoils Too - Again, In One Pass! 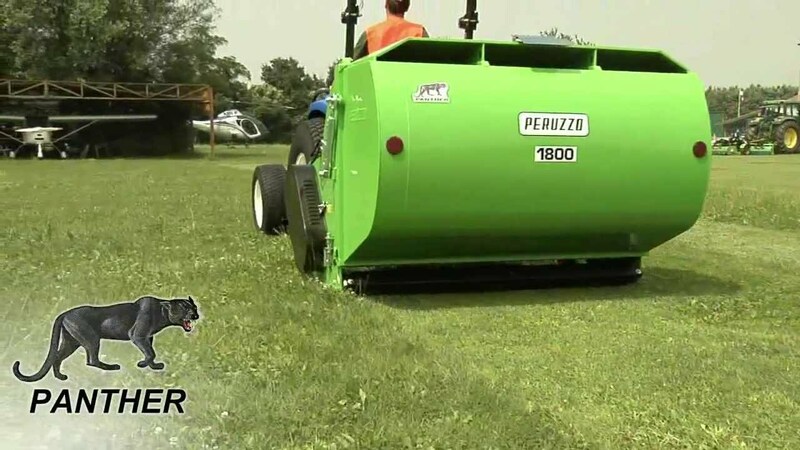 The Panther Flail Mowers Provide Unparalleled One Pass Efficiency! 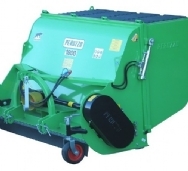 The Panther 1200, 1600, 1800 & 2000 Series 'Standard' Flail Mowers With Collection Hoppers Empty The Clippings On The Ground. 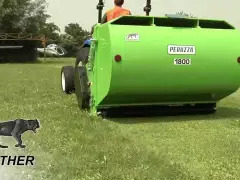 The Panther 'Professional' Series Have A Hydraulic Lift System That Elevates The Hopper (up to min of 6'-5" For Dumping Into Trailers, etc). Simple & Quick Cutting Height Adjustment At Front Wheels. Rear Roller Height Is Also Adjustable. 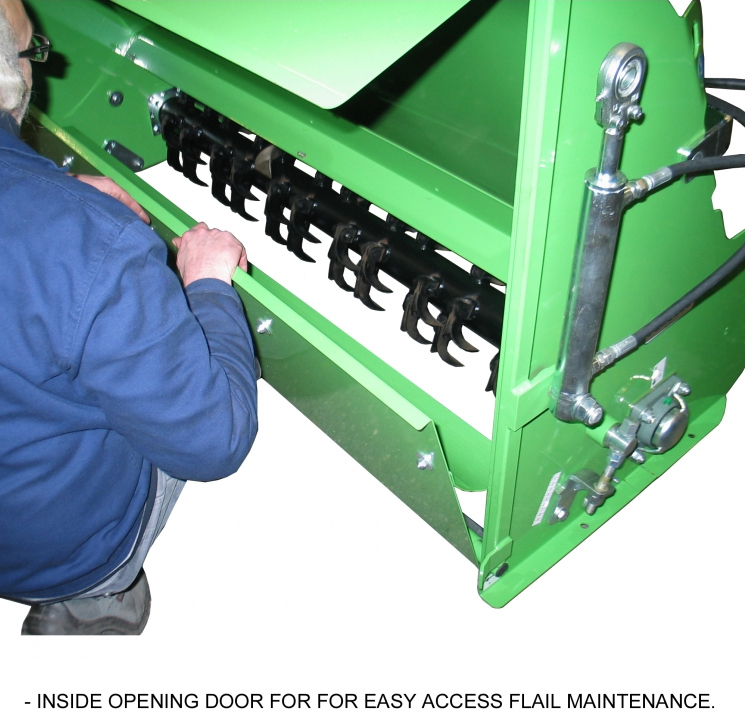 Inside Cover Provides Quick & Easy Service Access To Top Of Blades & Roller. Minimum Of 40HP Required For Mowing & Collection Functions. 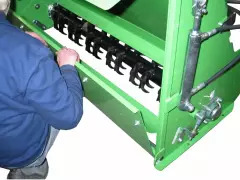 For Handling A Full Collection Hopper, Overall Ballasted Weight Of Tractor Should Also Be Factored. Hopper Capacity Is 1.5 Cubic Meters/52.9 Cubic Feet. Electronically Balanced Rotor Is Well Populated With 48 Hammer Style Blades. Cuts Up To 1.5" Diameter Brush.